I am very sorry for the late post about it, there were other things to take care of, but now we have confirmed it! 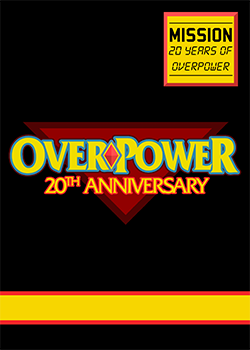 OverPower Championships 2015 is happening on October 10 with a side event on the evening of October 9. The city is Toronto but the venue is not confirmed yet. More details about the event will be posted once we figure it all out. Great news that the date is set. Do you have a rough idea of what area of TO the event will be held? I would like to get a hotel that is in the area and booking for the Thanksgiving weekend might get tough . We have two venues on the shortlist, either Toronto City Hall or Metro Hall. Metro Hall is the likelier candidate. Both are up in the air. City Hall is now in the lead because of better parking. oh man, i'm going to have to wear a suit and tie to get in there..lol. Awesome as I reserved at a hotel right across from City Hall! Ideally I would like to have 8 rounds of swiss with 40 minute time limits; 50 minute top 8 and top 4 with an unlimited finale. Until we find out how late we'll have the room for none of this is set in stone. Format will likely be 7-8 swiss rounds of 35 minute time limits with best record taking it. Again, this is still to be decided as we don't know all the details yet. Awesome, any special restrictions to decks on Friday night? anyone interested in taking my action for the tournament? Like in poker? Buying you in for a percentage of your win? Or do you mean just betting on you to win the tourny? 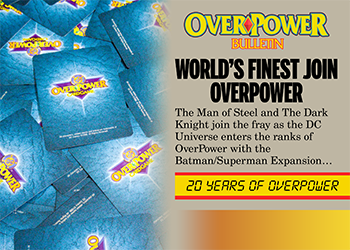 Here's a sneak preview of the promotional cards being released at the OverPower Championships 2015. We will be giving these out to each participant at our tournament on October 10th. More details about the cards will be released starting in October. Pre-orders for those who are interested will start October 5th at a price TBD.